If primed correctly on the right occasion, particle baits can prove to be more effective than boilies. They are great as a feed, hook and holding bait. The choices available now are huge, so there will be something to suit every situation. 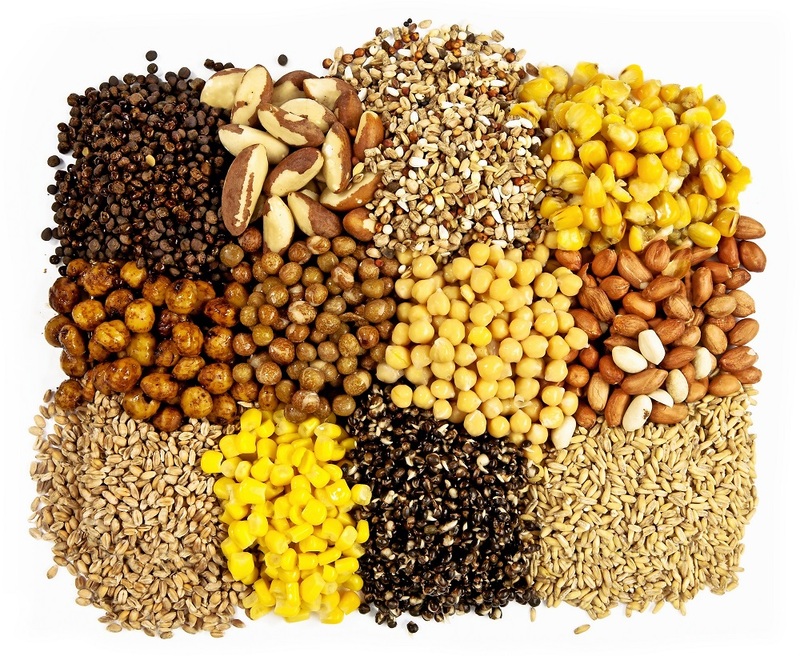 ‘Particle’ refers to a wide range of beans, nuts, peas and seeds. If prepared right, the natural oils, sugars and flavours are given the chance to blend with the fish’s natural feeding environment. It's crucial that anglers prepare particles correctly as a fish that eats uprepared particles may suffer due to the seed or nut expanding within the fish's digestive system. Hooking hemp seed can be a real problem for some anglers, with the bait not gripping the hook securely and therefore falling off the instance it touches the water. Most anglers hook these hard seeds by gently squeezing the ends of the shell to open up the seed a little, then inserting the hook shank and allowing the seed to clasp hold of the hook. In the vast majority of circumstances this technique works well, but some anglers prefer to use the method detailed below, as it allows more than one fish to be caught on the same grain of hemp. 8. Slip your hookpoint under the tight loop of line you've created in the seed. You may catch a dozen fish without the bait coming off! Particles, pulses and seeds are excellent baits to attract bigger fish. They are a little specialised and often don’t bring instant success, but if you are considering a fairly long-term baiting campaign, or are planning a weekend session they could provide you with great results. It cannot be stressed strongly enough that almost all particles, seeds and pulses need preparing before they can be used for fishing. The reason why is because once they come into contact with moisture they will start to swell. So, any dried particles that are introduced into a fishery will begin to take on water and increase in size. If a fish eats those particles before they have swollen fully the fish could be in big trouble as the particle will continue swelling within the fish’s digestive system. And we certainly do not ever want that to happen. Each particle, pulse and seed must be either soaked or boiled and simmered for a certain length of time before it is safe for the fish to eat. Please follow the instructions detailed on our website to ensure that you are preparing your particles properly. You will find the details on our particle preparation page. Particles such as sweetcorn, hemp and tares can be used straight on the hook or as loosefeed to catch some ‘everyday’ species such as roach, bream, tench and carp. They are sold in the tin, prepared and ready to use. But most other particles are used to attract fish into the swim, to bring the fish towards your non-particle hookbait (a boilie, a cube of meat etc). The most famous particle has to be hemp. It has been used for many years to attract roach, barbel and carp. Other particles, seeds and pulses worth trying as a loosefeed attractant for barbel, carp, bream and tench are groats, wheat, rice, pearl barley, chick peas and red dari seeds. Once prepared properly they can be literally shoved into a river swim or the margins of a lake where they will emit a rather potent scent that will waft downstream or with the undertow to pull in fish from far afield. A few samples of your hookbait scattered among the particles will soon give the fish enough confidence to find and eat your true hookbait. Of all the particles anglers use around 50 percent of them can be used as hookbait. Smaller particles such as hemp, corn and tares can simply be side hooked, while larger particles such as peanuts, tiger nuts and black-eyed beans are better presented upon a hair-rig. Because you should have prepared the particles correctly hair-rigging them poses no real problems – simply pass a baiting needle through the bait, clip on your hair and draw it back through. Easy really. Most particles, when they are prepared correctly, cannot be fed using PVA bags or stocking very easily because the moisture within and surrounding the particles will melt the bag. So, one of the most favoured ways of feeding an extensive amount of particles is with a spod, pictured above. This large rocket-like device can be attached to the line set upon a strong specimen rod (a 3lb test curve rod with 15lb line is perfect) and used to cast the particles out. The spod will fly through the air fairly accurately and once it hits the water's surface it will up-end and release the bait. 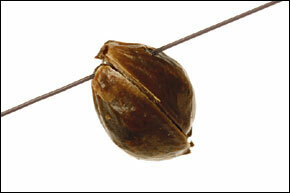 You may have read about hemp, often referred to in old books as ‘the demon seed’. It was for a long time extremely controversial and banned on a lot of waters but in recent times, anglers have come to see hemp for what it is – a deadly coarse fish catcher. Hempseed is the seed of the cannabis plant but that doesn’t mean the seeds anglers use can be whacked in a Rizzla and puffed away on! Fishing hemp is treated so that it cannot grow and often cooked so that the seed splits. Black in colour and the size of a tiny piece of gravel, one line of thinking is that fish mistake the seeds for small black snails in amongst the lake or riverbed. Old thinking reckoned the fish became pre-occupied with the seeds, using its link with cannabis to suggest the fish were drugged. This is of course nonsense but fish, especially roach, prize hemp above all other baits and no sensible roach man on a river would be without a couple of pints of seed at any time of year. It’s also a great bait for laying down a big carpet of feed for species like tench, carp, chub and barbel. 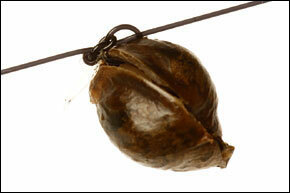 Hemp is quite a weighty bait and will sink easily so can often be fed by hand. In swift river currents, a bait dropper is a better bet but strangely, it never quite works when fed in groundbait. For laying down a big bed of bait, simply ladle the stuff in. Roach require a more delicate approach with constant little and often loosefeeding via a catapult. Another great way is to dump a load of hemp into your swim usign a pole cup, pictured above. How much does it cost and from where? Cooked hemp is normally sold across the tackle shop counter in pints and the price can vary but around £1 is right. Some bait companies sell hemp in bulk plastic jars with one jar enough to last several sessions. Can I boil my own? You can but it is a smelly process! Uncooked hemp is available in bulk sacks of up to 25 kilos from bird feed merchants and to cook, simply put the amount of seed you need in an old saucepan (not your wife’s best!) and cover with water. Bring to the boil and then simmer uncovered gently. Adding a spoon of Bicarbonate of Soda can help darken the seeds even more. By this point the seeds will pong of old socks so keep a window or two open! Keep checking the seeds and once they start to split, revealing the white kernel inside, they are cooked. Drain and leave to cool before measuring out with a pint pot into plastic bags for freezing. There is a non-smelly way to cook hemp though. Just three-quarters fill a flask with dried, uncooked hemp, pour boiling water in to fill the flask and seal the lid. Give the flask a shake and leave it for an hour. The seeds should have split by then and be ready to use. All particles - hemp and tares included - need to be prepared correctly before use. This means that they either need boiling, soaking or simmering for a set time. Can you use hemp for hookbait? It is a fiddly process but for picking off better roach, hemp is hard to beat. Try and source larger grains of seed (often known as Chilean Hemp) and prepare much the same as your feed grains. However, it can be worth cooking your hookbaits for a little less time, making them tougher and so easier to hook. Hooking them is hard to master and one of the best ways is to pre-prepare a couple of dozen grains before you set off to the bank. Select the biggest grains with a decent split and punch a hole in the flat base of the seed (where the seed was attached to the plant) using a baiting needle or the wire stem of a pole float. Once on the bank, use a wide gape fine wire hook (the Kamasan B511 or Mustad Wide Gape Canal Seed are excellent) and push the point through the punched hole. Ease the bend around the inside of the seed and bring the point out through the split, making sure there is plenty of hookpoint showing. Hooked this way, the grain should stay on for several fish. Hemp and tares are a brilliant combination for river roach and it’s always handy to have a handful of tares with you. 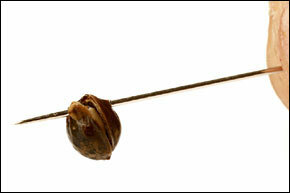 A tare is a cooked pulse that is commonly used for horse and pigeon feed and are quite soft, making them easy to hook. Generally speaking, once the fish are lined up on hemp hookbaits, switch to a single tare on a large wide gape hook such as a size 16. Bites will be positive and the fish of a far better average stamp than on hemp – however, they won’t always work so don’t spend too long fishing tares if you aren’t getting bites.